Halloween is here, so that means it’s time for tricks and treats! Which do you like better, tricks or treats? 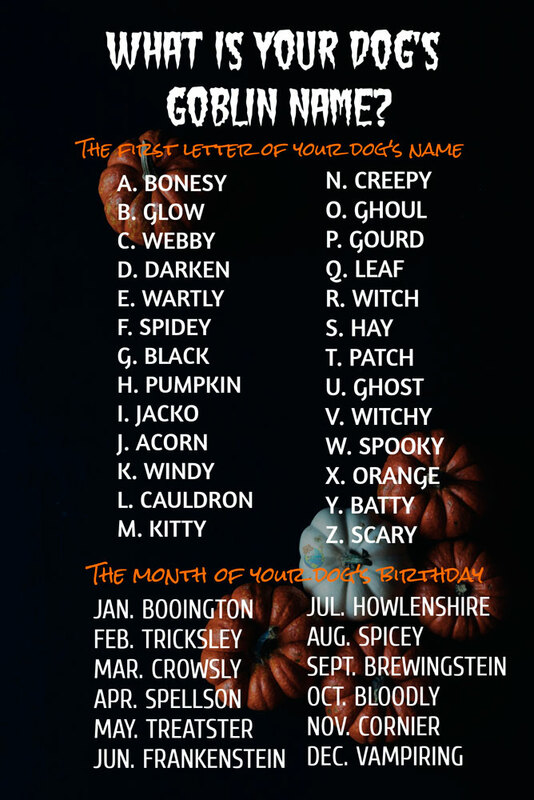 Well, we are more into the treats so we created this fun and silly goblin dog name generator. 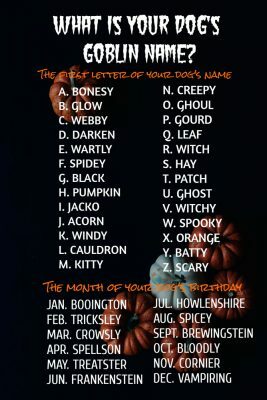 All you have to do is match up the first letter of your dog’s name with his or her birth month and you will find your dog’s sweet or spooky goblin name for Halloween! Check it out below! Our dog’s name is Teddy and he was born in May so his goblin name is Patch Treatster…yay! A sweet name, just like the reese’s pieces and skittles you get trick or treating on Halloween night. Cute or creepy, we’d love to see photos or your dog dressed up in his or her costume! We’d also love to see photos of your dog themed jack-o-lanterns! Email them to us at dogloverstore@gmail.com or tag us on instagram @dogloverstore. We’d love to share these photos with all of our customers and followers. We already received one photo from tiffanyn_wiggins on instagram. 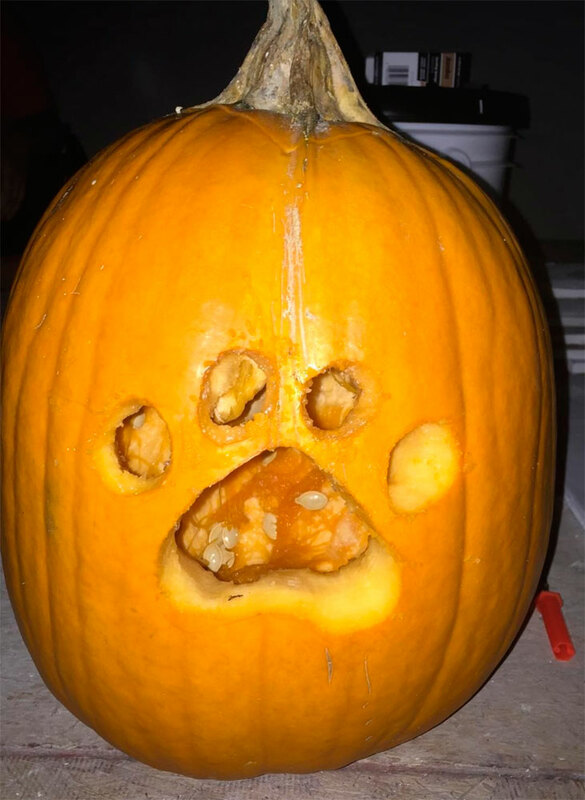 She made a dog paw jack-o-lantern.